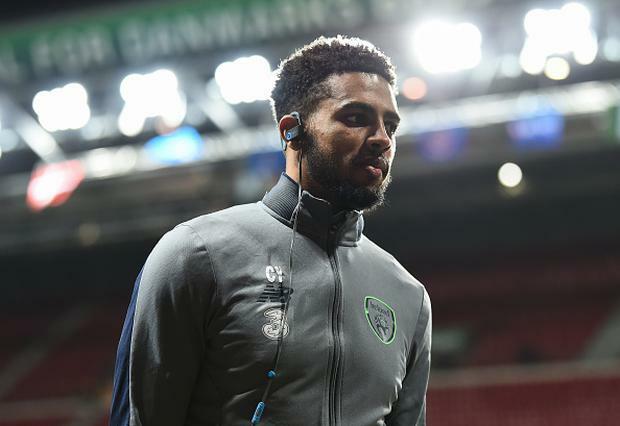 Gardaí have launched a probe into the racist abuse suffered by Ireland soccer star Cyrus Christie after the player made an official complaint. It is understood the Middlesbrough defender flew back to Dublin on November 27 to make a statement to gardaí about the vile messages directed at him on social media website Twitter. Officers from Irishtown Garda station began examining the case on the back of this. The Irish Independent understands that officers have contacted Twitter as part of the investigation. Anyone found to have racially abused Christie faces fines and a prison term of up to 24 months if they are convicted. Christie was subjected to abuse which left him in tears following Ireland's defeat to Denmark in a World Cup play-off on November 14. While these messages will be investigated, he also suffered abuse from online trolls before the game. Gardaí will probe the content of messages sent to the player, and work to identify the people behind the anonymous accounts which sent the abuse. Charges under the Prohibition of Incitement to Hatred Act 1989 could be brought against the trolls. The law prohibits the publication or distribution of written material, words and images which are likely to stir up hatred. It carries fines of up to €12,700 and jail terms of up to two years. Twitter declined to comment when asked if it was co-operating with the investigation. "We don't comment on ongoing investigations for privacy and security reasons," it said. However, the social media website has protocols for law enforcement agencies to follow when it comes to obtaining information. Some of the messages referred to the player as a "n*****", while others said he "should play for Jamaica". Many of the tweets and profiles were deleted, which could hamper the investigation. According to Twitter, once an account is deactivated, there is a "very brief" period in which they can access its information. Christie received massive support from fans and fellow players after suffering the abuse. His Ireland team-mate James McClean hit out at those who engaged in the abusive behaviour. "Some of the comments afterwards went beyond football," said McClean. "One player in particular was told to go and play for Jamaica. It really upset him. "That's for a player who has been a good servant to his country and it cut deep. That player was in tears, by the way. You've just missed out on the World Cup and then to have that." Fans of Middlesbrough put up a banner in support of the defender for his first game back after the play-off. "We're a group who are completely against any form of discrimination," the supporters body said. "We were appalled to see that one of our own players had been subjected to such hate and felt it necessary to show our support for Cyrus in what could be an unnerving time for him. "Thankfully, racism and discrimination as a whole are not as prevalent within football as once before, but in these instances those who are targeted should be reminded that they are not alone, and that these bigots are a backward, small-minded minority." Christie released a statement condemning the abuse and thanked everyone who had supported him. "I'd like to say I am extremely proud to represent my country, the Republic of Ireland, and I give everything I can each time I put on the green shirt," he said. "I genuinely believe our fans are some of the best in the world. "These comments are not representative of our fans or our sport. "We were all deeply upset to not reach the World Cup finals and are hurting just as much as everyone else." Philip Ryan A senior Fianna Fáil TD has said he was “mortified” by party colleagues who queued up in the Dáil chamber to meet rock star Bono. Cormac McQuinn PEADAR Tóibín has claimed that an official from Sinn Féin told him to “F*ck off” out of an office on the party area at Leinster House “before something happens”. Anthony Cuthbertson April's full moon has been labelled the Pink Moon but it may not appear in the night sky the same colour that its name suggests.